It never fails in my house…if I have no fruit in the house my three boys will be constantly asking me for a banana or strawberries or grapes. I go to the store, stock up on fresh produce, and nobody wants it. It goes overripe and I end up testing recipes to make with it in order to avoid wasting! 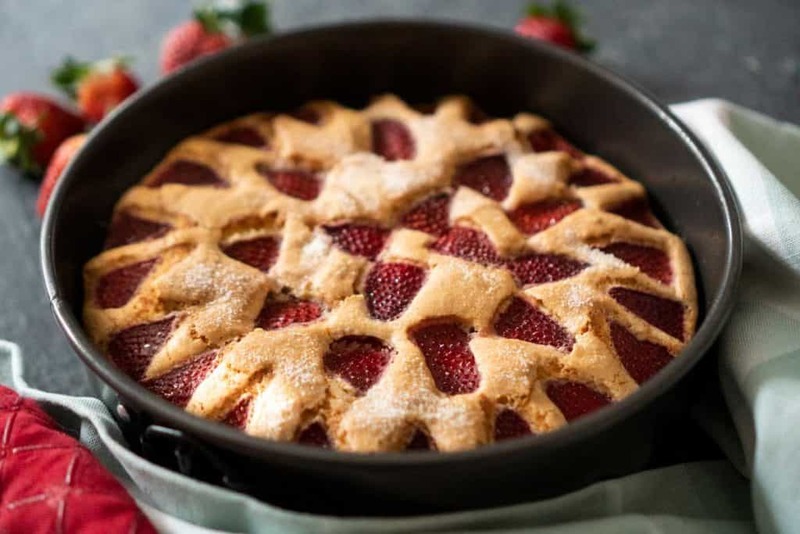 This Strawberry Cake recipe is the result of that exact situation. My husband bought two pints of strawberries last week and one was starting to get soft so I figured I’d better use them up somehow before they went bad! I based this recipe on the same cake I use in my blueberry cake. It is a lightly textured cake that compliments the berries perfectly. I think I’m going to make it my mission to try variations of it with lots of different fruits as spring and summer wear on! I made this cake in a springform pan but you can make it in a regular cake pan easily. 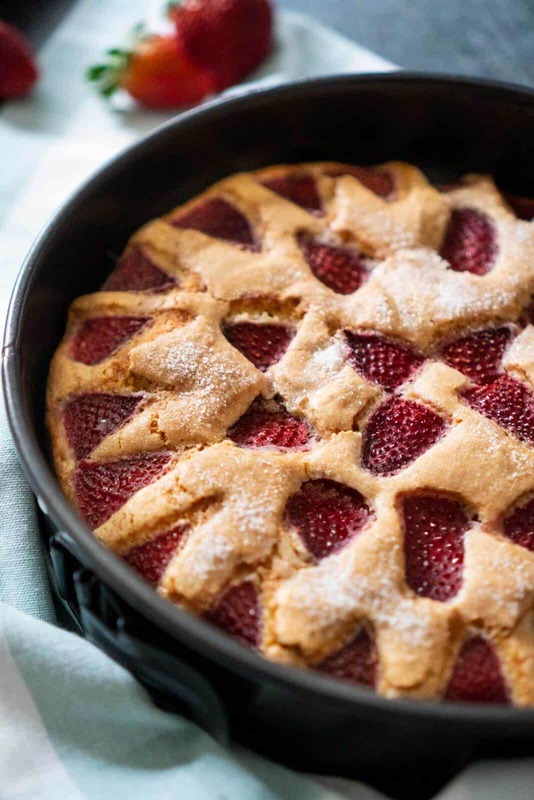 I also laid my strawberries in the batter in a pretty pattern because, well, I’m a blogger and I do that sort of thing! It will taste every bit of delicious if you just toss them in there randomly as well, so no worries on the perfectionism front! 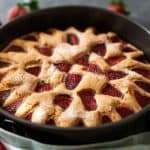 Just went strawberry picking here in Florida and made this and it was amazing! !